Hanukkah Sameach! 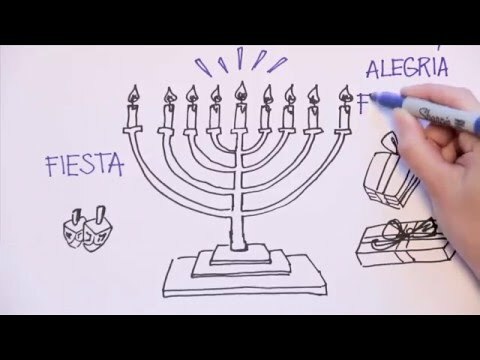 This reading and listening exercise discusses the story behind the Jewish celebration of Hanukkah. It is suitable for level C1 Spanish students. Watch the video, then read the transcript. Click any phrase for the translation and links to related grammar lessons which you can add to your Kwiziq notebook to practise later. How did you find this exercise? Leave a comment below!